1. a ghost or ghostlike image of someone, especially one seen shortly before or after their death. The Lenwood Wraith is a hand built holster designed from the ground up for comfort, durability, and reliability. As the name implies, it's designed to tuck in close to the body to be hidden and unnoticed until your sidearm is called to action. The Lenwood Wraith is designed for comfort. 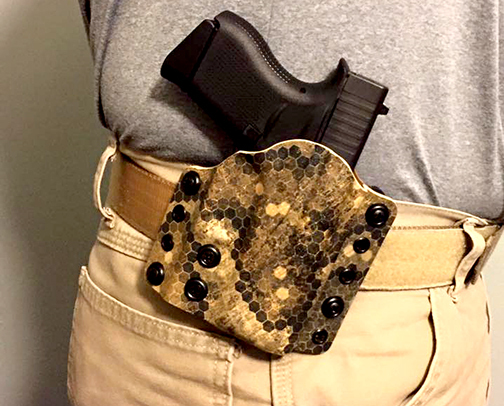 If a holster is not comfortable you wont wear it. If you don't wear it, you won't have your pistol when you need it. 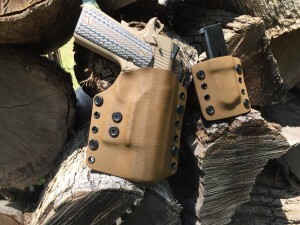 Two primary features make the Wraith more comfortable than other Kydex holsters. 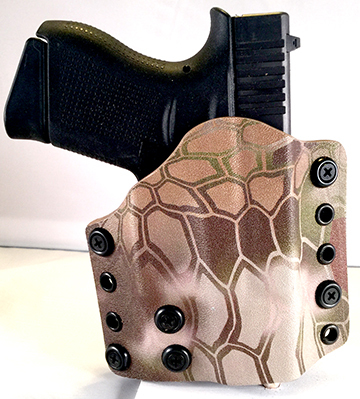 80% of the gun is molded into the exterior piece of Kydex while 20% is molded into the piece closest to the body. 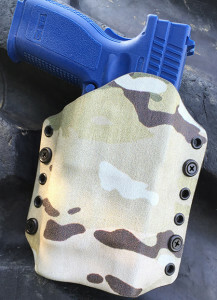 This prevents the gun from pushing into your side while you are wearing it. We designed a process that molds the Wraith to an arch that mimics the side of your body. When on your side the holster works with your body, not against it. This produces a snug fit that keeps your gun right where it should be without pushing the gun into your side. The Lenwood Wraith is designed for durability. If a holster does not stand up to the abuse you throw at it you can not trust it. We build durability into the Lenwood Wraith. 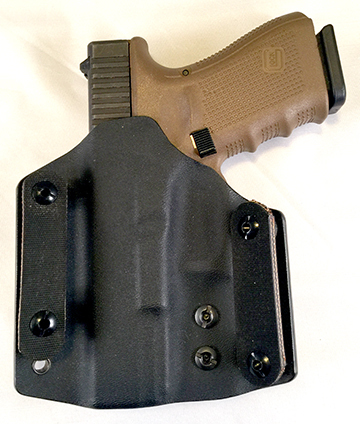 Two key features make the Wraith more durable than other Kydex holsters. The Lenwood Wraith features genuine top quality Kydex brand thermoplastic that is .08 inch thick. 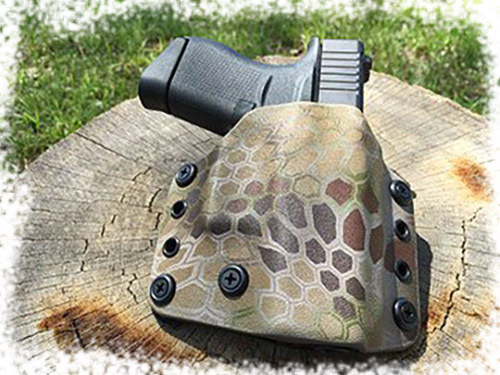 .08 inch thick Kydex is the perfect balance of rigidity and flexibility. We space our eyelets at 3/4" center to center which provides exceptional strength without causing stress. If they eyelets were farther apart the holster would have too much flex, if they were closer together it would result in weakness. We also use premium machine screws, posts, and finish washers. Working with folks who use this type of gear in the field doing police, DOD, and special operations their primary complaint with holsters were the loops used to attach the holster to their belts. 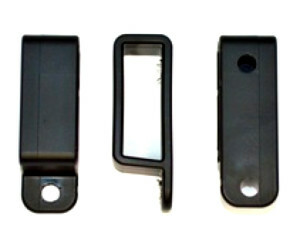 The standard Kydex and injection molded plastic loops frequently broke as a result of the abuse doled out in these environments. I knew I wanted to do something different, something better. After experimenting with a variety of materials and designs I eventually came up with the design that is now known as the Lenwood Loop. The Lenwood Loop provides a belt loop attachment that is significantly more durable than the standard industry offerings. 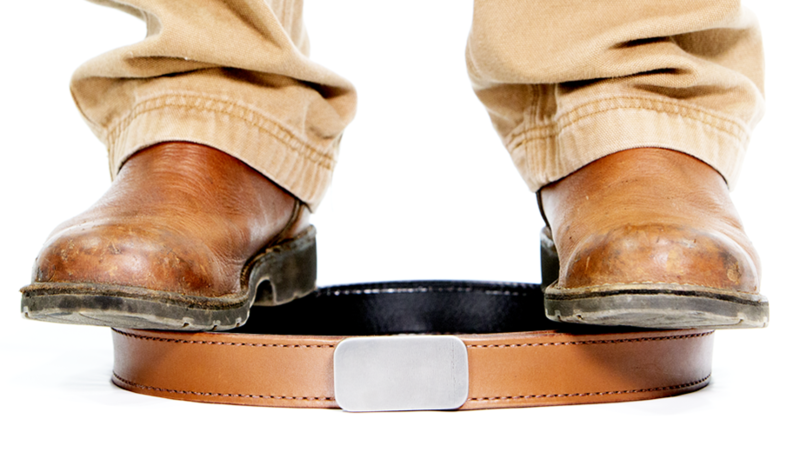 Further, it is adjustable for belts from 1.5" to 1.75" wide and a variety of thicknesses. 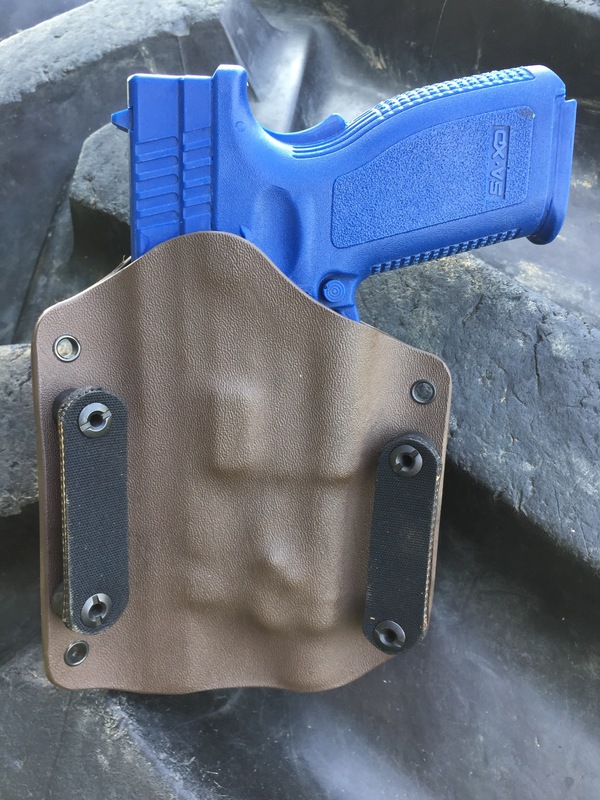 The advancements that make the Lenwood Wraith more comfortable and durable are the very things that make it more reliable than other Kydex holsters. The improved comfort will make you want to wear it and the increased durability will instill trust so you know it will be there when you need it. 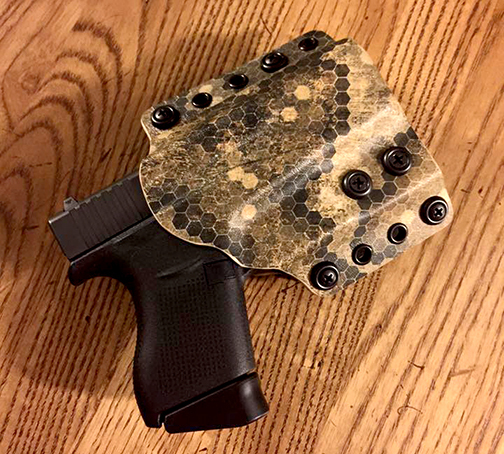 In addition to these features standard Lenwood Wraith holsters feature two tension screws to allow you to adjust the retention to your desire. 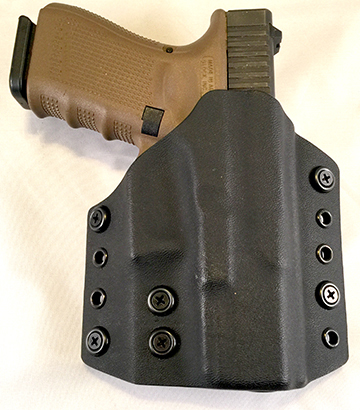 Turn your Lenwood Wraith into an IWB (Inside the Waistband) holster with the Lenwood Wraith IWB Kit (available on this page). Add injection molded plastic belt loops to your Lenwood Wraith with an IMP Loop Kit (available on this page). Have your holster built to house your gun with a mounted light or laser please select "Add a Light or Laser" option (available on this page). 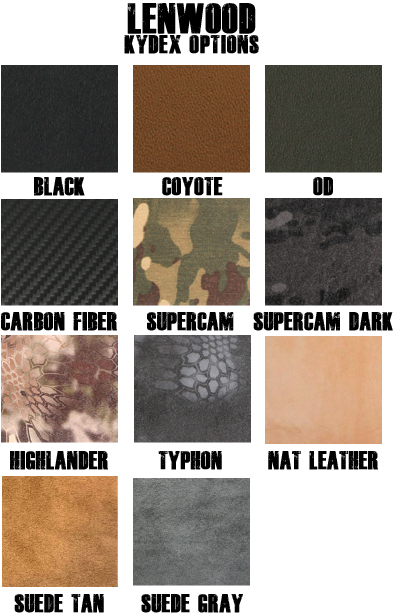 Click here to view Kydex color options. If your gun is not on the list please contact me. If I'm able to get a drone for your gun I'd be happy to buy it and build your holster. 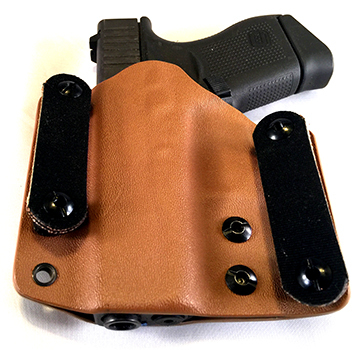 The Wraith Holster IWB Upgrade Kit converts your Lenwood Wraith Holster to be carried inside the waistband. It also allows the user to tuck their shirt in. The Wraith IWB Conversion Kit consists of four smooth backed posts, one spacer, and two injection molded clips. The Wraith IWB Conversion Kit is easily installed, it'll take about five minutes. If you would like me to build your holster around your pistol with an added light or laser please add one of the options below to your order. Thanks! If your light or laser is not on the list please let me know what you have and I'll see if I can make it happen. 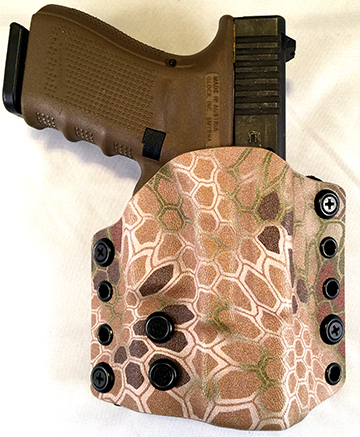 The Specter Mag Carrier is the perfect companion to your Wraith holster. 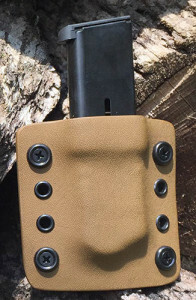 The double Wraith mag carriers are two singles mounted together. The Wraith Holster Injection Molded Plastic Loop Kit allows you to switch out your Lenwood Loops with the more common plastic belt loops. 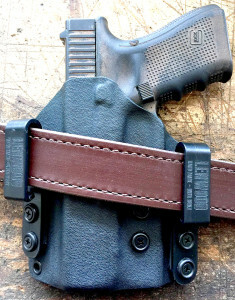 The kit includes two belt loops and the hardware to mount them to your Wraith holster. NOTE: Only coyote brown loops available at this time - But no-one will see them so who cares?